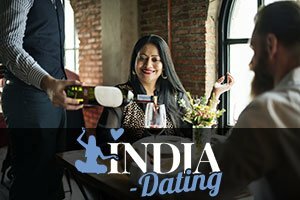 Top Dating Sites India - When Is the Right Time For Your Child To Start Using Dating Sites? The number of online dating sites in India is growing by the minute, and the options that they are offering to their clients are certainly enticing. An increasing number of people is using online dating sites all over the country, and this number is only expected to keep on rising. Nevertheless, we need to take the younger population into account, and take a closer look how the online dating culture could be affecting them. Being online all the time is a fact of life in the 2010s for so many youngsters out there that we should not try and fight it. On the contrary, we need to educate them on how to properly use the internet, including the online dating sites. That’s why today we’ve decided to explore the issue of children and youth using dating sites in India so that everyone is safe out there 100% of the time. We must not forget that online dating sites for adults have a minimum age requirement which is 18+. This means that minors cannot be using the same online dating sites as adults, or at least they shouldn’t be. Notwithstanding the fact that nobody should let their underage child use online dating sites designed for adults, we also need to note that there are teenage online dating sites for teenagers to meet, forge new friendships and start relationships. If your child is interested in using a teenage online dating site you should definitely have a serious conversation with him or her, and explain all the possible positive and negative sides to dating online. If you do that your child will be that much safer, and you will have your peace of mind (well, some of it at least). Depending on your child’s psychological age, you might be able to let them use teenage online dating sites starting from the age of 16. Younger children are more gullible, and therefore – more at risk. Also, you need to make them understand that not everyone out there has good intentions, and that there are people who are simply not who they say they are. That being said, your child needs to know that – just because s/he is using a teenage online dating site that doesn’t mean that every single user will be an honest teenager. There might be adults on those sites preying on the teenagers with self-esteem and loneliness issues, and you don’t want your child to become a victim. Just because everyone is doing it doesn’t mean your child should be too. In a sense, they need to understand that being online is a privilege that they can lose if they start to misbehave. In other words, using teenage online dating sites might be all right, but only under your rules. Set a certain amount of time per week which can be spent on a teenage online dating site. Make sure the rule is enforced, and talk to your child openly about it. If they start to misbehave in school or their grades drop, that’s certainly a red flag for you to react and take action. In the meantime, make sure you’re spending quality time with your children as often as possible. You absolutely need to know what’s happening in their lives. Establishing trust will make your life a whole lot easier, but you should still have rules that must be obeyed.